Fears and worries come in all shapes and sizes, but can be overwhelming and feel like they are ruling your life. Generalized Anxiety, Specific Phobias, Selective Mutism, and Obsessive-Compulsive Disorder (OCD) are common anxiety problems. There are strategies that can help combat anxiety. Conquer your fears and feel good about it! Our practice draws largely on Cognitive Behavioral Therapies for treating anxiety. Coping Cat for Anxious Youth and the CAT Project are evidence-based CBT approaches for children and teens with anxiety that are among the treatment options for anxiety. 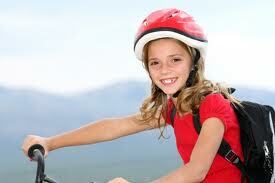 Children and teens are taught coping skills for managing stress. Children and teens also gain awareness of their feelings and how to manage them effectively. Children and teens learn to identify triggers for their fears and thoughts that contribute to the fear or prevent them from overcoming anxiety. An essential feature of this type of treatment involves creating a hierarchy of fears and facing each fear head-on gradually in real-life scenarios with support of the clinician and involved family members. Exposure and Response Prevention is used to treat OCD. ERP also involves creating a hierarchy of symptoms, and learning to face each situation without getting stuck on those obsessive thoughts and without acting on OCD urges or relying on rituals. Selective Mutism (SM) is treated using a Child Directed Interaction (CDI) and Verbal Directed Interaction (VDI) approach. This treatment approach involves positive reinforcement and gradual shaping to increase the number of people, places and situations in which the child will comfortably speak.